deformation is small, the operator's fatigue is reduced. optimum tightening and measurements can be executed. 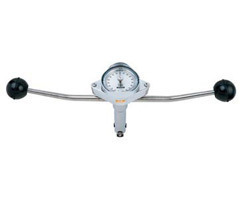 to the desired torque and the assembly is tightened until the torque pointer reaches zero. T-S model is available to use in Russia.